Melbourne Emergency Electricians have extensive experience dealing with commercial electrical issues. We understand that without power at your place of business everything stops, so we take emergency jobs for commercial premises a priority and do all in our power to have the electricity restored in the shortest amount of time. Our specialist team are experts in fault finding and because they do this day in day out they tend to be faster at finding the issue that an ordinary electrician. Choose Melbourne Emergency Electricians to restore your power FAST to your commercial property. We service offices, buildings, workshops, restaurants, cafes, clothing stores, commercial residences, and pretty much any place of business. Melbourne Emergency Electricians commercial electrician will aim to arrive within the hour and for your convenience we carry most of the stock required to restore power to your commercial property on the spot. Our commercial team takes pride in their work and will ensure quality and safety standards are met so that the job is of high quality and anyone who is within your environment will be safe without any electrical hazards or danger. We have specialist commercial emergency electricians ready to be dispatched 24 hours a day, 7 days a week, so call us now to get one of our professional technicians out to your property. Some of the commercial faults which we have found are listed below. Power cables damaged due to chairs rolling over them. Lighting failure in the troffer light fittings causing the lighting circuit to trip. Faulty appliance causing the safety switch to trip. Faulty light switches from overloading lighting circuits. Faulty power outlets which are tripping the safety switches. 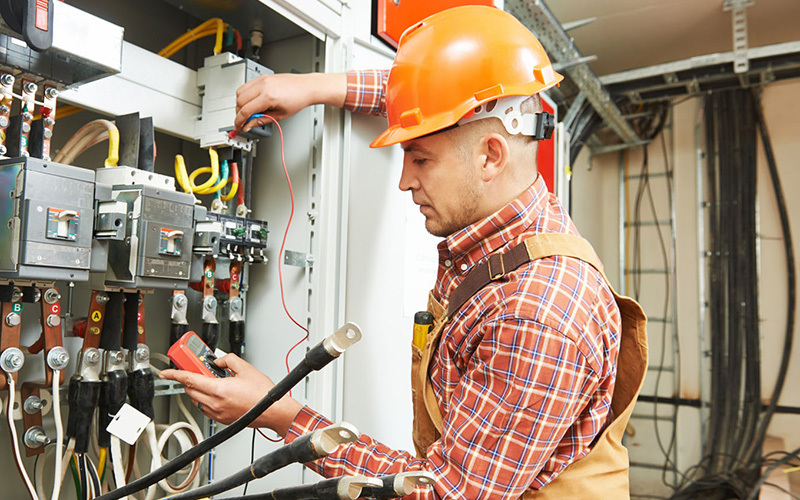 Melbourne Emergency Electricians have commercial electricians who are ready to leave and attend to your breakdown so call us now for immediate service.